Kamila is an Instructor of Professional Practice and Internship Coordinator at the Bloustein School. She received her Master of Public Health from Montclair State University and her Bachelor of Science in public health from Rutgers, The State University of New Jersey. She is a Certified Health Education Specialist (CHES) and works as a Health Educator at Atlantic Health System for Corporate Health Services. 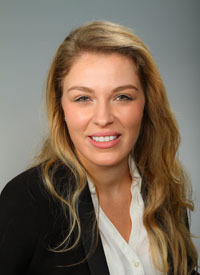 She previously worked at Montclair State University in the Office of Health Promotion developing, implementing and evaluating health and wellness programs for students and staff. Her interests include professional development, health promotion and wellness education.